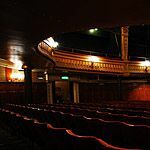 Do you work at Harold Pinter Theatre? What did you think of Harold Pinter Theatre? A brilliant night out. go before it closes!